A sheltered mountain girl, Glory is forced to build a life on her own after her Poppy dies. With a bagful of gold and no change of clothes, she sets out in search of a new life. Far too naive for the cold world before her, she ends up on the run from a greedy uncle who wants her gold-and who will kill her to get it. She manages to latch on to a wagonneer named Jackson and a group of teenage mail order brides. 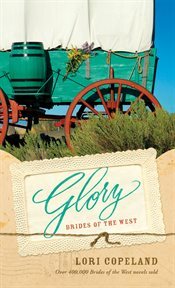 In her travels and adventures, Glory grows into a beautiful young woman with an unshakable faith-but will her faith be enough to win the heart of the handsome wagonneer?